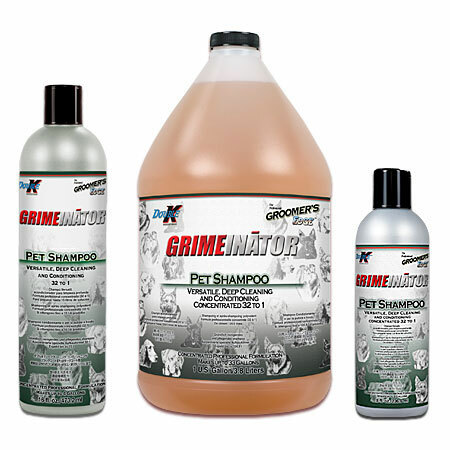 GRIMEINATOR® is an extraordinarily versatile shampoo that achieves "Best in Show" results on your finest dogs, yet deeply cleans the dirtiest, smelliest animals gently and thoroughly. The humectant and emollient-rich formula softens skin, conditions hair, and allows for everyday use. Leaves coats manageable and lustrous. Great for dogs, cats, puppies, kittens and other companion and farm animals. Legitimately concentrated 32 to1* for the best value.